Thanks to our lovely group of litter walk volunteers who helped remove a significant volume of trash from our neighborhood streets this morning. Today we concentrated on the area around Oakland International High School. Since their joining the neighborhood in 2007 OIHS have been good neighbors. In 2013 the students partnered with neighbors to develop the Webster Street Garden Project which helped brighten and beautify the corner of 45th and Webster. We were surprised and saddened to see so much litter around the school. There was a noticeable increase in the volume of McDonalds litter, particularly along 45th Street. We’re hoping this is a temporary issue as McDonalds does have a litter control plan in place with the City of Oakland. Another troubling situation is developing at the MacArthur BART station where trash and debris are piling up along 40th Street. We spent a significant amount of energy over there a bit ago and will drop by again soon. Please lend a hand in our cleanup but please also contact BART and let them know we can use their help. See you next Sunday morning at 9am on the corner of 43rd and Shafter! 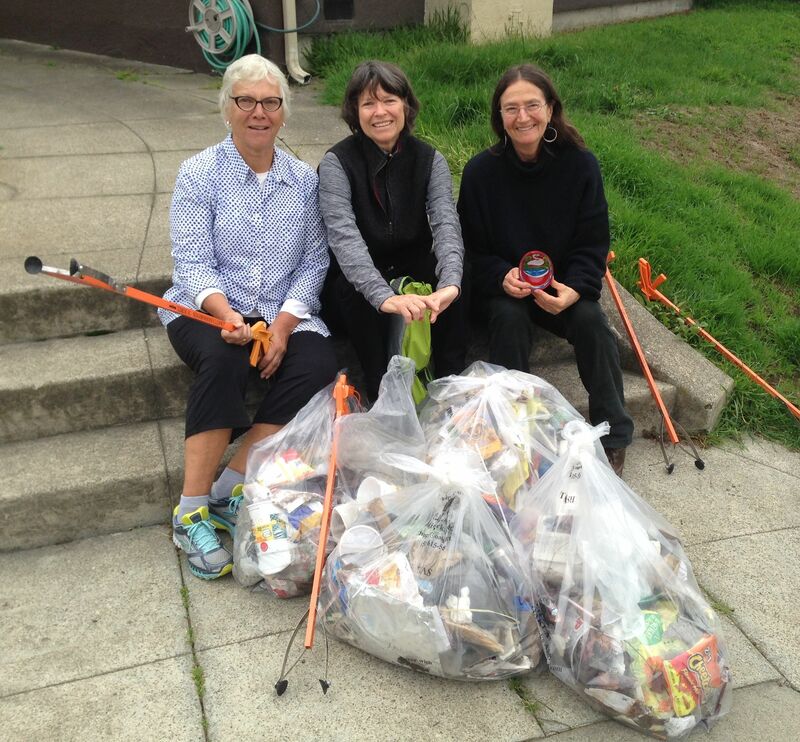 In the meantime, let’s Keep Temescal Clean & Beautiful!